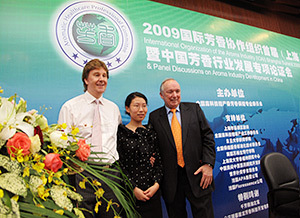 Geoff Lyth, translator Susan Yang, and Angus Williamson at the opening of the IOAI Summit 2009. Along with the steady growth of aromatherapy in China has come the inevitable problem of poor quality products flooding their market, with little or no regard being paid to the negative effect this has to their fledgling industry – and the aromatherapy profession in general. 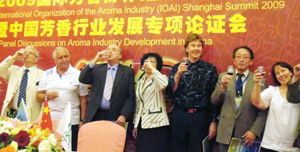 To address this important issue, the Aromatic Healthcare Professional Committee (AHPC) in China recently created a new organisation called the International Organization of the Aroma Industry (IOAI). This new organisation is dedicated to improving standards of agricultural husbandry, aromatherapy training, and the quality of essential oils produced for their expanding aromatic industries. Due to their experience and reputation in the aromatherapy industry, Quinessence Aromatherapy directors Sue Charles and Geoff Lyth were invited to join the IOAI as expert advisors and deliver lectures at the first International Organization of the Aroma Industry Summit, which was held at the Fuxuan Hotel in Shanghai, China, from 22nd to 24th October 2009. The intention of this first event was to discuss the current and future developments of the aromatic healthcare industry in China from an international perspective. The regional development and international demands of aromatic plant cultivation in China are a high priority, together with how cultivation and extraction technologies can be geared more towards international standards. To this end, representatives from France, Korea and Japan were also invited to join the multi-national committee and lecture on a wide range of subjects and activities relating to the developing global aromatherapy and aromatic industries. Leading experts from China were also in attendance at the summit to present the committee and delegates with the results of their research and describe their victories and remaining challenges for cultivating aromatic plants throughout China. The venue was very well attended by delegates representing various industry sectors including the aromatherapy, beauty, flavour, perfumery and the traditional Chinese medicine community. 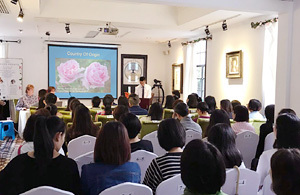 It provided a wealth of authoritative information presented by the panel of experts, plus it presented a forum to investigate and discuss a practical and complete solution to some of the difficulties the aromatherapy industry in China is currently experiencing. During their lectures, Professor Yao Lei, director of the Aromatics Plants Research Centre and Lu Yi, President of the Institute of Quality Control and Inspection both provided excellent information about successful aromatic plant cultivation projects, whilst also highlighting their need for expansion and cooperation in this area. 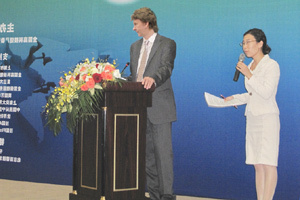 In the ‘Present Situation of International Aromatherapy Education and Outlook of the China Approach’ the principal of Aromatherapy Scotland, Mr Angus Williamson underlined the differences between the eastern and western approach to aromatherapy training, and emphasized the importance of international co-operation, the sharing of teaching staff, and allied international certification. 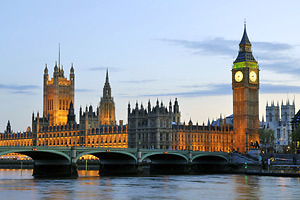 As the founder of Quinessence and a qualified practitioner, Sue Charles has a long association with the aromatherapy industry and was the perfect speaker to describe the development of aromatherapy in the UK over the past 30 years. During her presentation she gave insights into her own personal approach to treatments as well as offering suggestions as to how aromatherapy might be further developed in China. 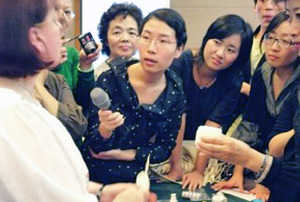 Having been influenced by Chinese medicine often in her career, Sue commented, ‘Your traditional medicine already encompasses elements held dear to many aromatherapists, and I believe your nation will bring a fresh, dynamic and insightful approach to aromatherapy.’ These words seemed to resonate with many therapists and her lecture was extremely well received. In fact, she was still fielding questions from enthusiastic therapists (via myself and other interpreters) until late in the evening! Drawing on his experience as the person responsible for quality control at Quinessence Aromatherapy together with his role of 18 years as the Chairman of the Aromatherapy Trade Council (ATC) in the UK, Geoff gave a fascinating presentation on the critical subject of ‘Quality Control of Essential Oils in Aromatherapy’. He highlighted the principal operational techniques that have an impact on the final quality of medicinal oils – from the quality of soil on the farm right through to GC/MS testing of the extracted oils. Geoff mapped out all the key quality control procedures that must be enforced throughout the entire supply chain. 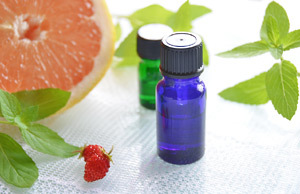 He emphasized the distinction between commercial-grade oils that had been standardized for an industry in comparison to the therapeutic grade oils that are needed by the aromatherapist, and revealed how essential oils intended for other industries end up on the aromatherapy market. What an eye-opener that was for many of the attendees! On the evening of the 23rd October a banquet was held to officially celebrate the establishment of IOAI, and to record the signing of the Joint Declaration by the panel of experts. The topics covered in this declaration include a proposed alliance of the aromatherapy education system in China, the unification of industry standards for growing aromatic crops and essential oil production, resource sharing, research and other industry related issues. At the banquet I noticed that although Sue and Geoff were quite proficient at using chopsticks, neither of them seemed familiar with the Chinese tradition of toasting, which is an on-going affair throughout a meal, and often beyond! To the uninitiated it can be quite daunting, with continual rounds of drinks being consumed to cries of ‘Gan bei’ which means ‘empty your glass’. This continues until almost everyone present has been toasted individually. There were almost 100 people at the event, and Geoff did keep with the tradition of emptying his glass – so you can imagine the scene! During the afternoon of the last day of the Summit, Sue gave a demonstration showing how to select and blend essential oils correctly for treating problematic skin conditions such as eczema and acne. She also recommended the best anti-aging and rejuvenating essential oils for oily, combination, and dry skin types. Delegates described their skin problems to Sue who blended creams live whilst delivering her lecture, finally handing them out to the enthusiastic crowd that had surrounded her! It was an utterly chaotic scene – but great fun, and everyone really enjoyed the spontaneous nature of this presentation whilst learning valuable technical information. Sue’s lecture brought the summit to a close on a real high note, with the event being hailed a resounding success by delegates. 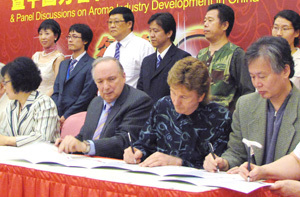 It was seen by many as a truly positive step towards the improvement and development of the aromatherapy industry in China through genuine international cooperation. Copyright © Quinessence Aromatherapy Ltd 2009. Written by Susan Yang. I love the essential oil of Quinessence. It’s so great. and I’m very happy to know that Sue and Geoff attended the meeting in China and will pay more attention in Chinese market. Hope more and more Chinese can use so good oil. I’m glad to know that Sue and Geoff were invited to join a IOAI conference in Shanghai China. I think as the living standard increased, China has a huge market requirement for Aroma products. But the market now in China is a little bit mess and need the international professionals to come to guide this market and made it develop in a proper way. For myself, I ‘m also very interested in Aromatherapy and want to learn some real staff. I am just wondering when you can come to China to set up a branch or a school? It would be wonderful for me and I am pretty sure that it would be a great step for your company to go in this big market. Everything happened so fast with our trip to China that we didn’t have time to really make many plans. On our next trip I will make sure we mention it in advance, so that Geoff and I can make arrangements to meet up with our customers. 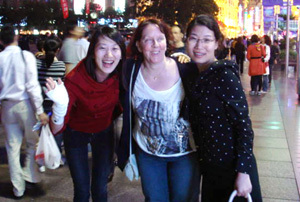 On our last trip we could only meet a few people who lived in Shanghai, it was a shame we couldn’t have met more. Wow, it;s so good that u came to China! I wish that I could attend that meeting. Despite the vast size of China, it does not currently grow medicinal plants in particularly large quantities, since its main focus is on food crops. Those medicinal plants that are grown are of extremely variable quality, so this is of concern to the Aromatic Healthcare Professional Committee. This is why the newly formed IOAI is looking for support from interested parties around the world to help improve the quality of such herbs and also make the most of the agricultural resources in China. Top: At the banquet following the first day's lectures, the committee members commemorate the event with yet another celebratory toast. Gān bēi! Above: Time to sign the official Declaration documents. Since Geoff had been involved with way too many toasts by this time, Angus anxiously watches to make sure Geoff spells his own name correctly! Geoff revealed that in many industries, when an oil fails to meet the desired benchmark profile in its natural state, it is modified to meet it by matching it to a database of recognized standards for essential oils. These oils are 'engineered' to meet the standards by adding synthetic, low value chemicals to increase the levels of components that are lacking, whilst boosting profits at the same time. Many of the delegates at the conference had no idea that this practice took place, and were shocked to learn about it. Delegates crowd around as Sue explains how to select the correct essential oils to blend creams for their personal skin types. After all the lectures, demonstrations and interviews are finally completed at the end of a long day, Sue and translators Millie and Susan head for fun in downtown Shanghai!